The hymn “Great is thy Faithfulness” has an encouraging line that says we have “Strength for today and bright hope for tomorrow” and the greatest hope a Christian has is living for all eternity with Jesus and we are going to look at what the Bible promises us about our eternal hope. If we are confident in our future we will make the right choices today. If we know there are better days ahead we will have the hope we need to get us through the difficulties we are experiencing now. Christ-followers should have peace and confident assurance that their future is secure in Jesus. 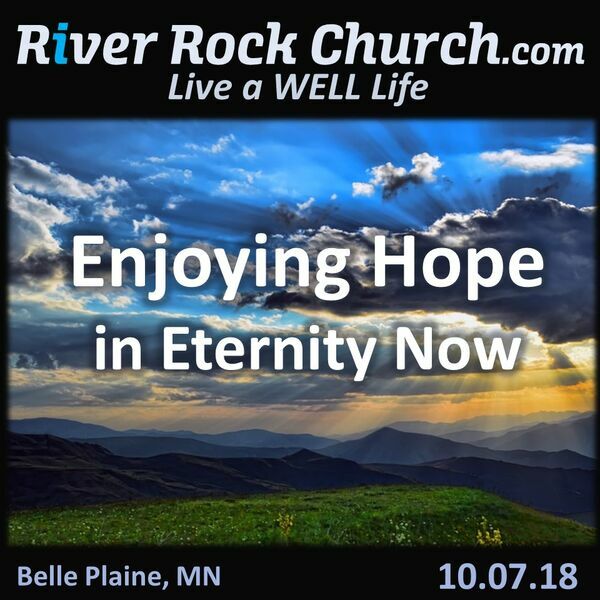 Listen and hear how you can enjoy the hope you have in eternity right now.